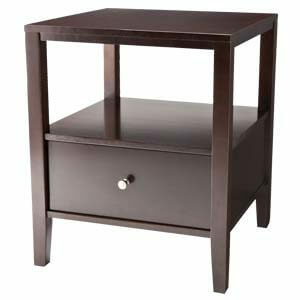 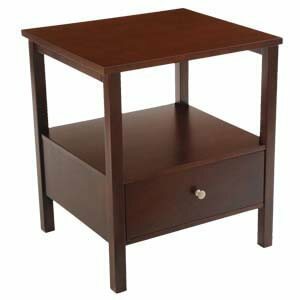 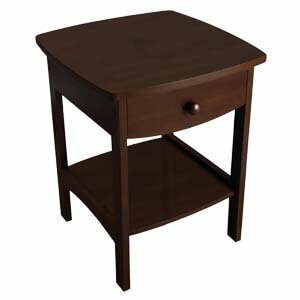 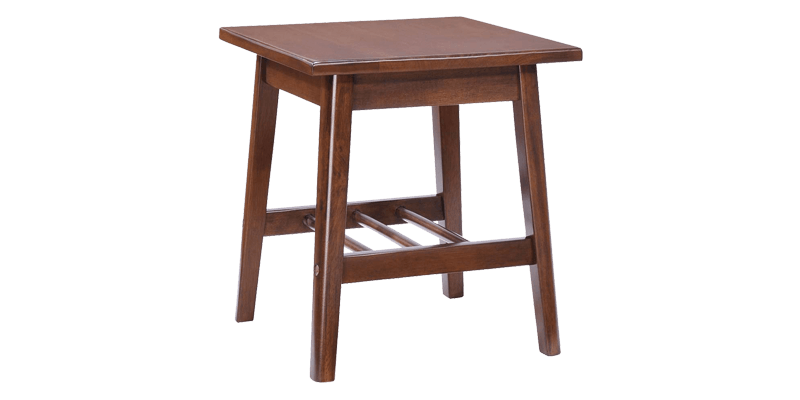 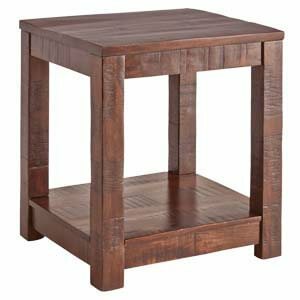 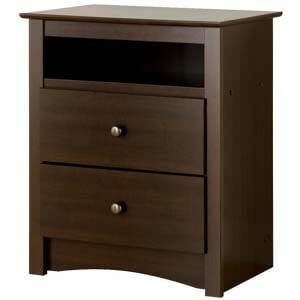 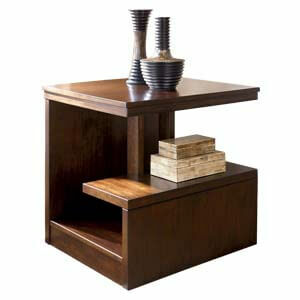 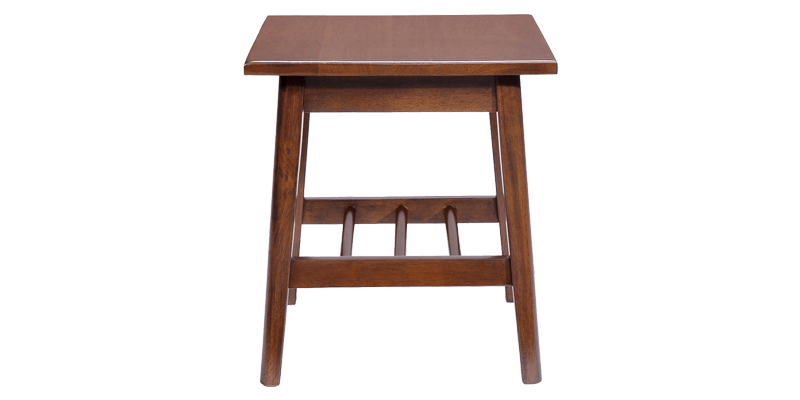 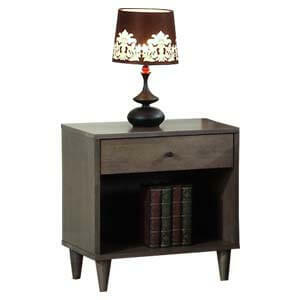 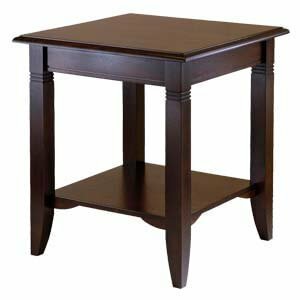 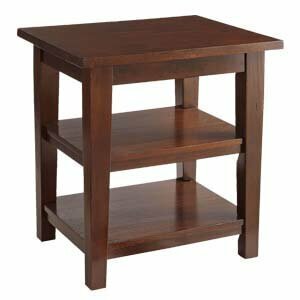 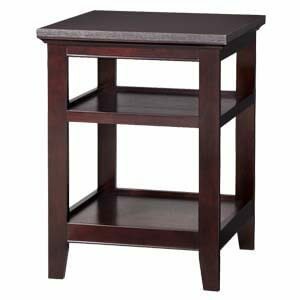 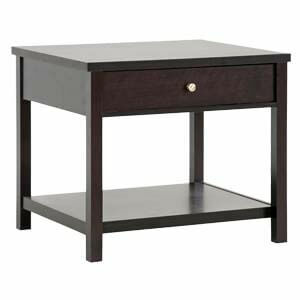 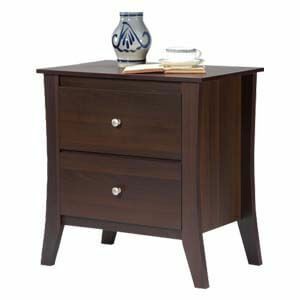 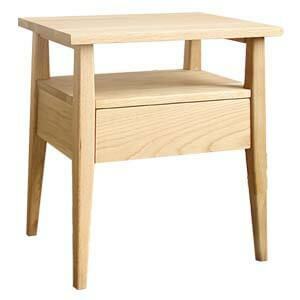 Classic in style this handmade square end table is rich in functionality. 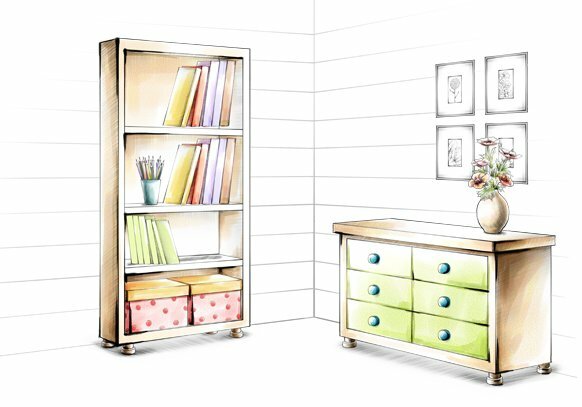 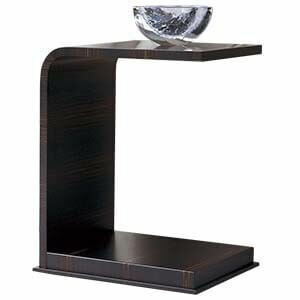 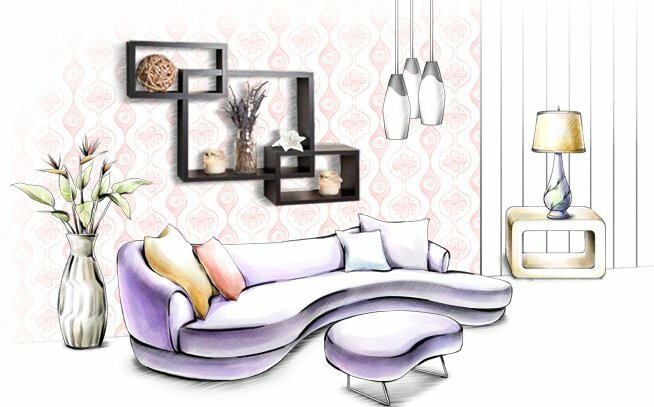 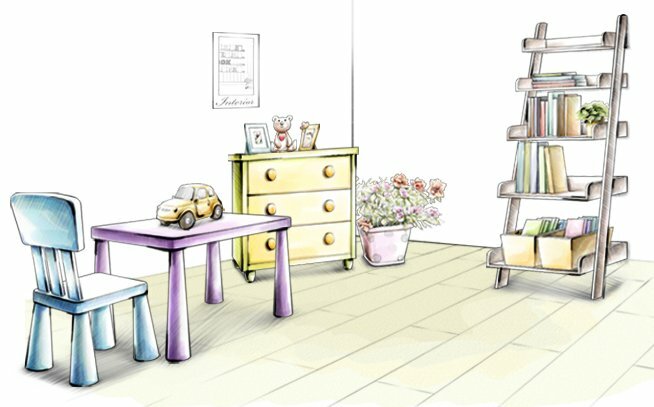 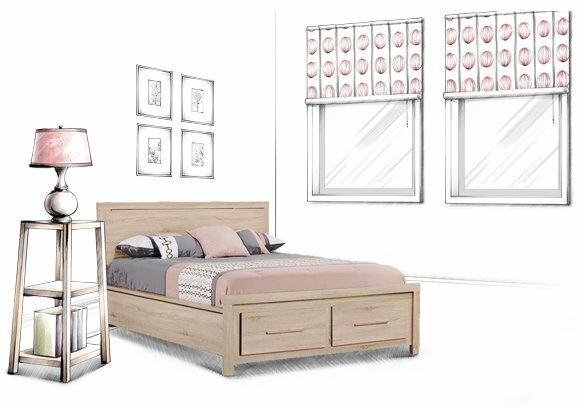 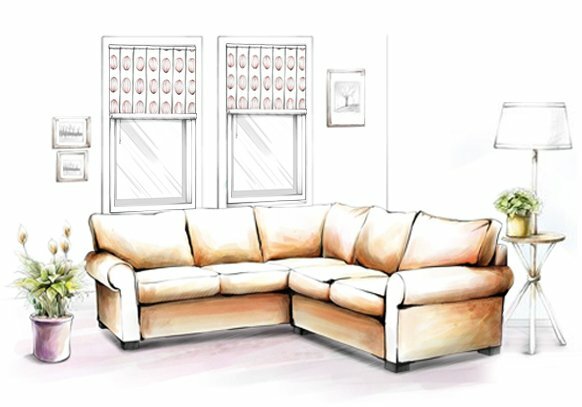 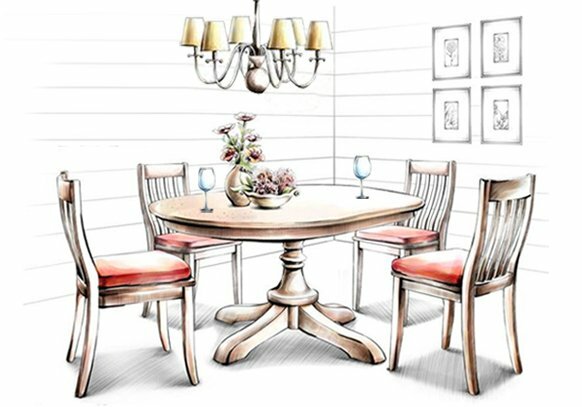 It’s got a laminated table top with clean straight lines accentuating into smart radius edges. 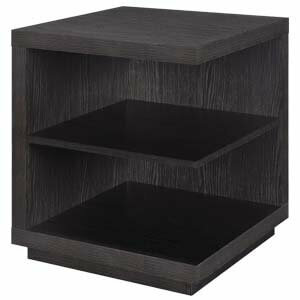 Also, it has cylindrical pipes aligning themselves in slatted fashion for storage in the bottom shelf.